Having to deal with the judgement of others can have a huge negative impact on your mood and how you feel about yourself. It’s hard to feel happy and confident when you constantly feel judged by others. Especially if they are people that are close to you like family and friends. 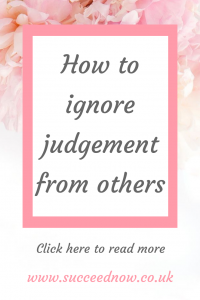 The good news is there are some ways you can choose to ignore the judgement of others. If you maintain a positive mindset through personal development you will find it easier to move through life ignoring the judgement of others and only focusing on how you feel about yourself. Create yourself a set of positive affirmations that you repeat to yourself daily. This will become your beliefs about yourself. 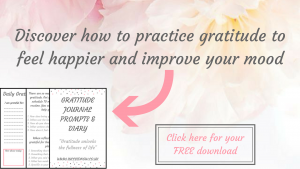 As well as allowing you to ignore the judgement of others as you won’t believe what they say this will also help to build confidence and improve your mood. By spending time journaling your thoughts it will get all your feelings out of your head. This will allow you to feel free and not bottle up the judgements inside of you. You can write down the judgements people have said about you. Then rip them up and put them in the bin. Use this as a metaphor that once it is in the bin it is out of your mind and life. You can then move on from it and continue living your life. Create an achievement list of everything you have achieved in your life. You can use this when you need that extra boost of confidence to see how much success you’ve already had. Start with the simple things like education and jobs. Then you can write down anything else you’ve achieved in your life. If you have achieved things that prove people and their judgements wrong then add these to the list so you can see the evidence that they are wrong. Remember that people that make negative comments about others are usually experiencing problems of their own. This definitely doesn’t justify their actions and it is never okay to judge others. However it does help you put everything into perspective by thinking in this way. I read in a book that “hurt people hurt people” basically meaning that people that have been judged, bullied etc in their life then go on to judge and bully others. Sadly we can’t stop people judging us and we can’t stop what people say and how they live their lives. But by using your own personal development habits and working on your mindset you can work on ignoring judgement and living your life the way you want without worrying about others. Eventually you will get to the place where the only opinion that matters is your own. This is a great place to be in. Once you’ve got your personal development routine in place and are consistent with it you’ll have a strong enough mindset to get past the judgement of others. Do you want more support with taking control of your life, including knowing how to ignore judgement from others, build confidence and overcome fears. The Mindset Mastery includes all the tools and support you need to help you on your journey. Click here for more information. What habits are you going to add to your life to start ignoring judgement from others? Let me know how you get on in the Facebook Community. I needed this today. There can be so much rejection in the blogger world. Excellent resource.